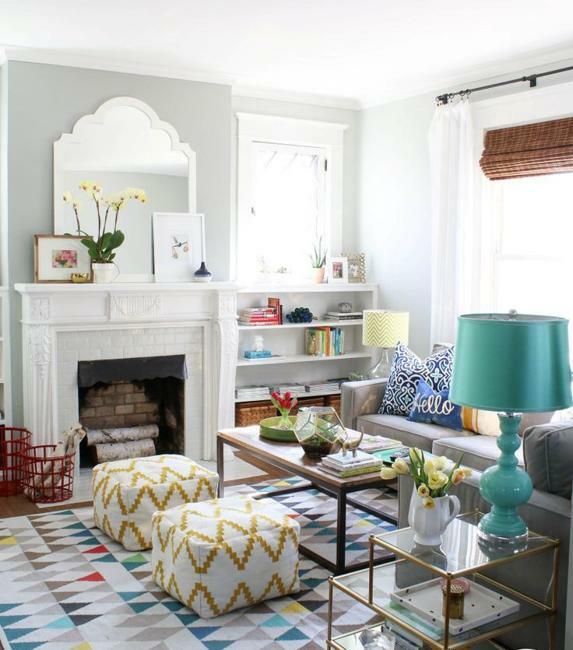 Geometric decoration patterns are modern interior trends. Versatile and attractive, they are perfect for any office or living space. 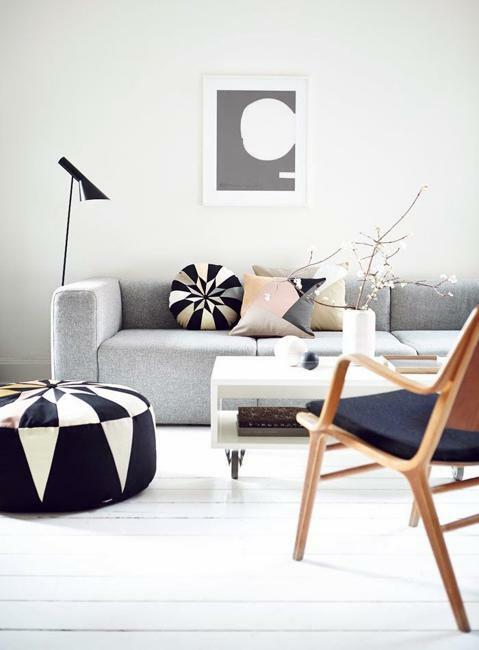 Geometric patterns are timelessly elegant and can give a unique touch of sophistication and style to modern interior decorating. 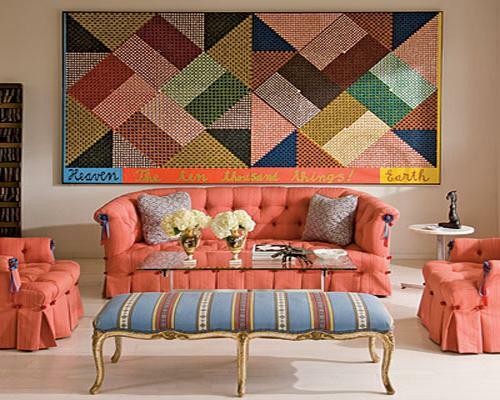 There are many creative ways to add some geometry to modern interiors. 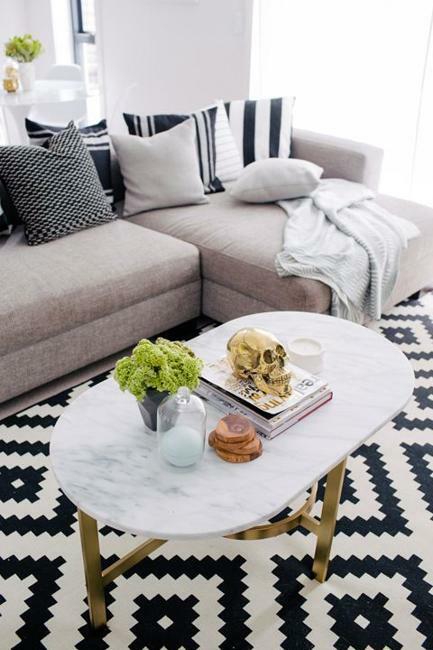 Simple shapes fascinate and inspire decorators. 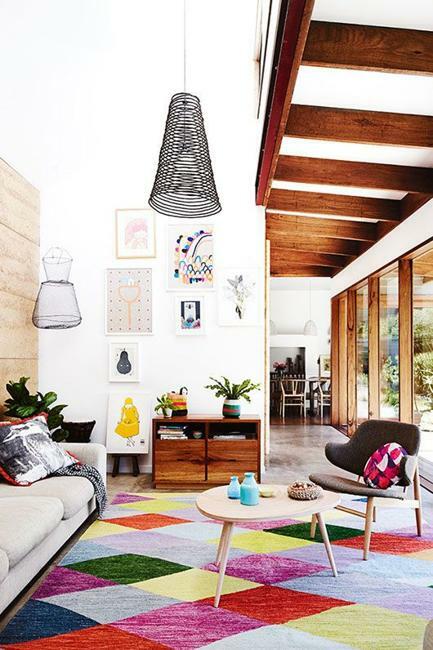 Lushome shares a collection of modern interior decorating ideas that demonstrate the latest interior trends and show how to incorporate geometric patterns into your decor. 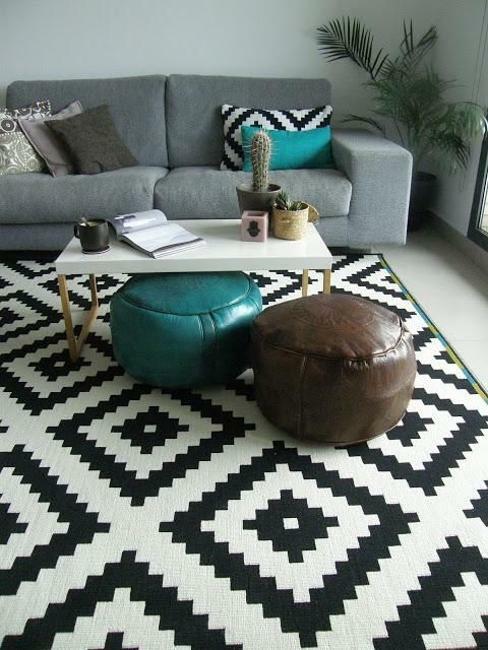 Spectacular and calming, geometric patterns can create various effects, but they beautifully accentuate all living spaces and add a modern vibe to offices and home interiors. 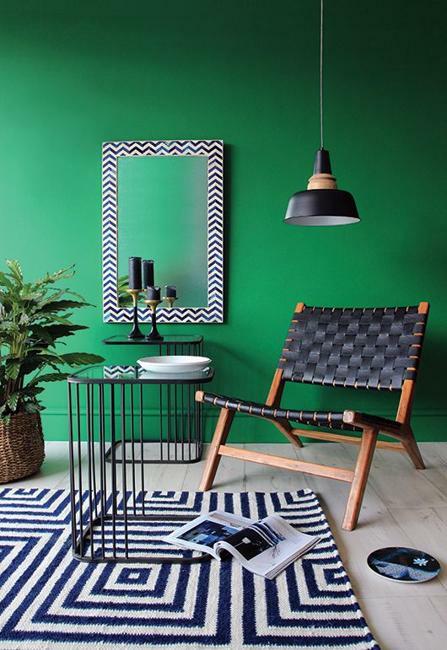 Interior decorating with straight, curvy, and zigzag lines and simple geometric shapes allow playing with monochromatic color tones and bright hues to create personalized and attractive interiors. 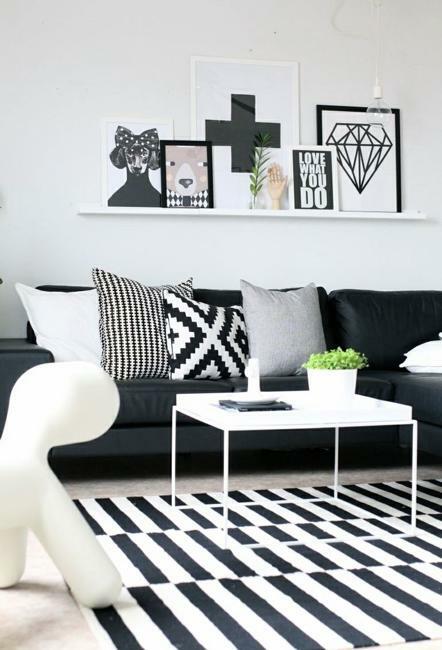 Black and white or colorful geometric decoration patterns are versatile, suitable for all interior styles, genders, ages and room functions. These interior decorating ideas are modern and comfortable. 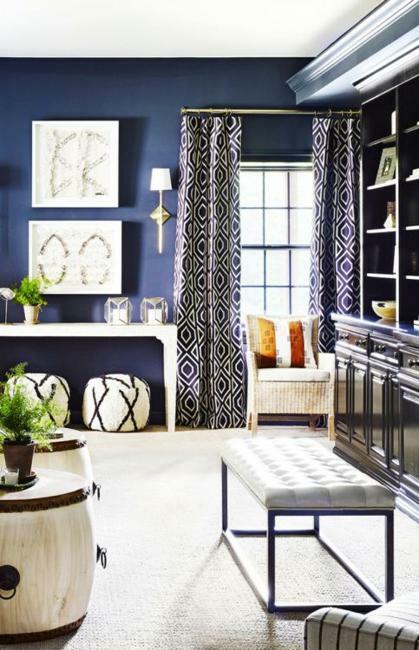 The elegant simplicity and familiar look make the geometric patterns the favorites. 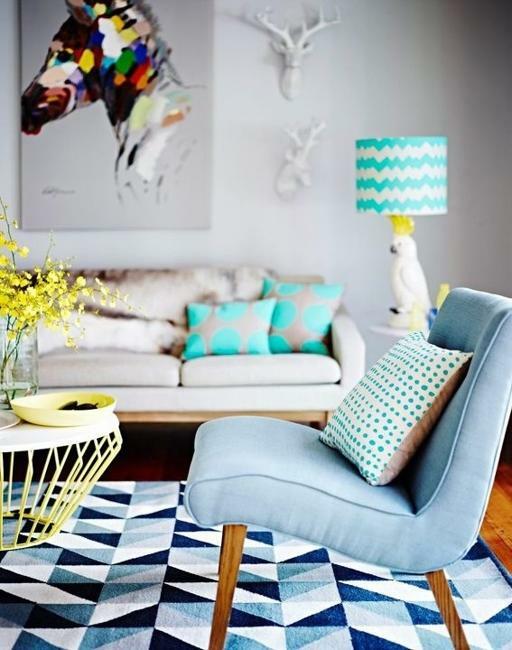 Geometric prints and painting ideas, geometric designs and artworks with geometric shapes are creative, contemporary, and attractive ways to personalize and style interior decorating. 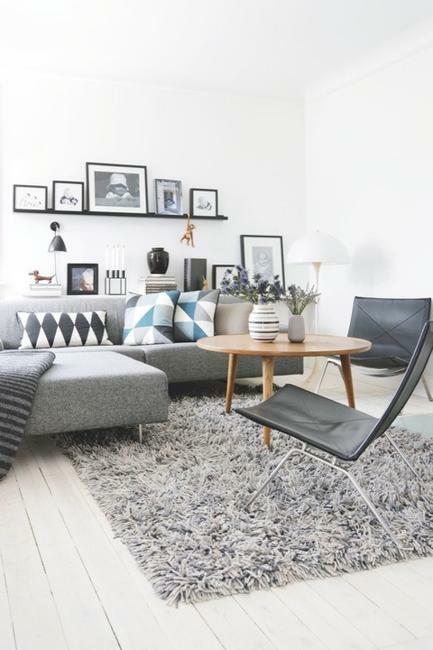 Modern living room designs with geometric patterns on walls and floor or home furnishings designed with familiar geometric shapes look bold and dynamic. 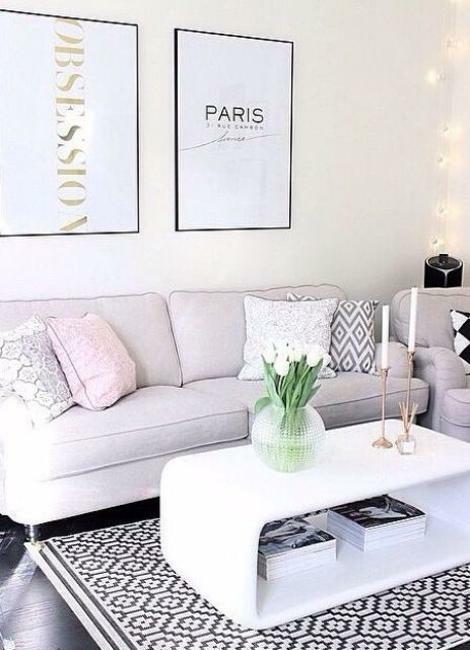 Wall shelves, room furniture, beautiful wallpapers, fabric prints and artworks that feature geometric shapes create striking contrasts and add drama to lacking interest interior decorating. 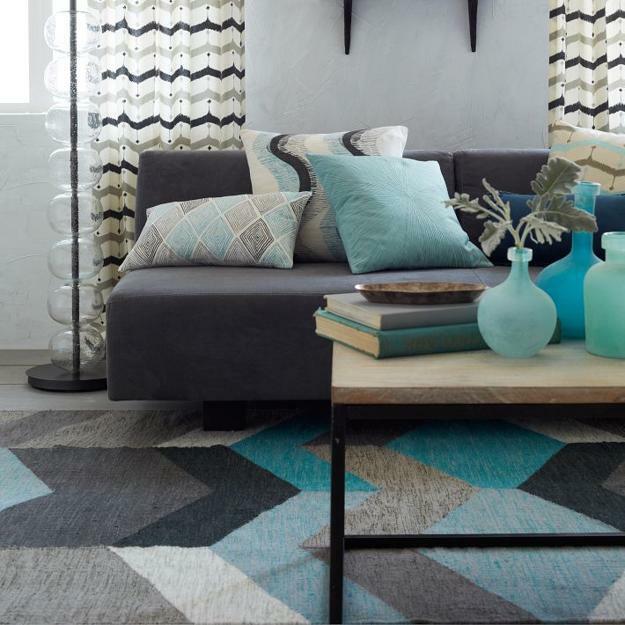 Textiles, window curtain fabrics, floor rugs, furniture upholstery fabrics and bedding sets are quick but very effective ways to spruce modern interiors by adding geometric patterns. 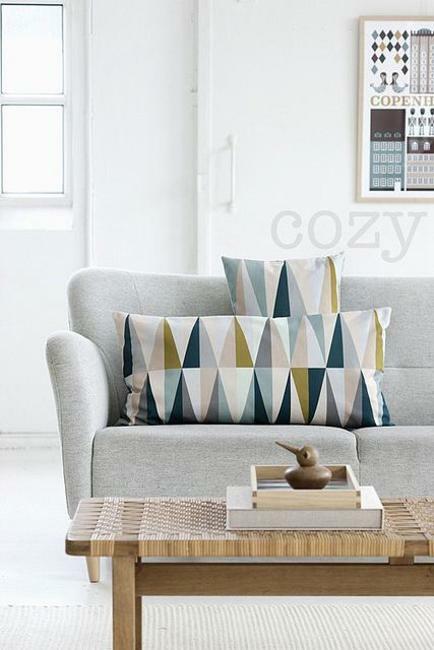 Textiles with geometric prints look fabulous. Contemporary and bright, the geometric linens, tablecloths, towels, floor rugs, and curtains are easy and cheap ideas that can transform interiors in an amazing way. Furniture and wall painting ideas, modern wallpaper designs and artworks are modern ideas that bring color and energy into interior decorating. 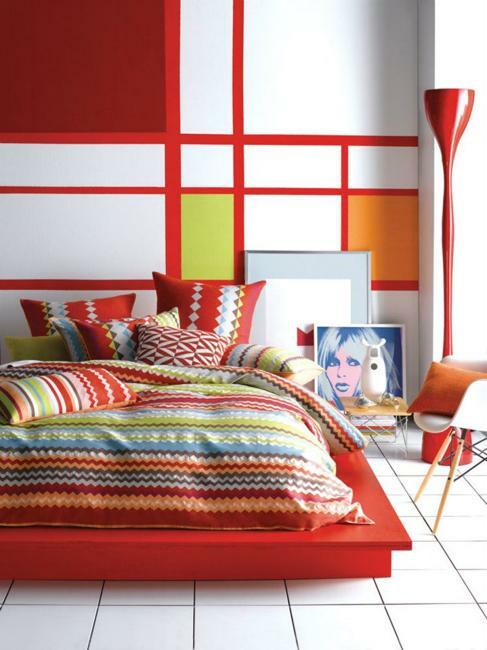 1.Wall painting and decorating with geometric wallpapers. 4.Handmade fabric decorations, showing creative combinations of various geometric shapes. 5.Blending geometric patterns with flowers. 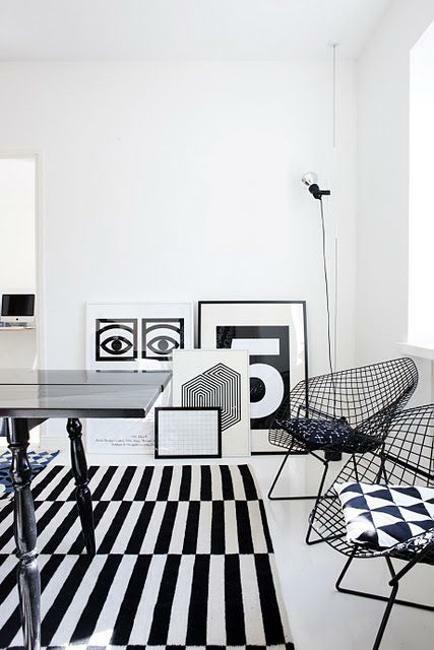 6.Creating black and white rooms with geometric patterns. 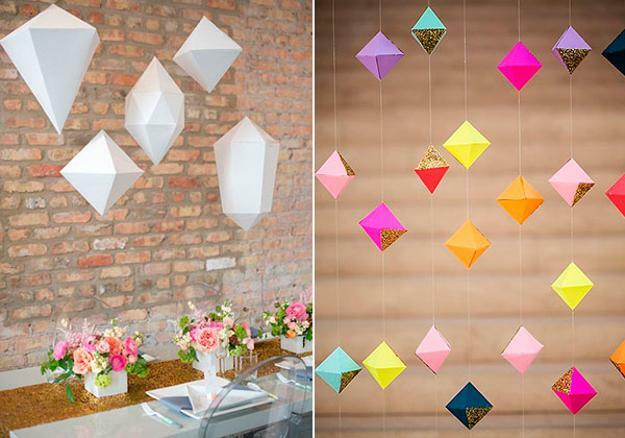 7.Using colorful backgrounds for creating beautiful displays of geometric shapes. 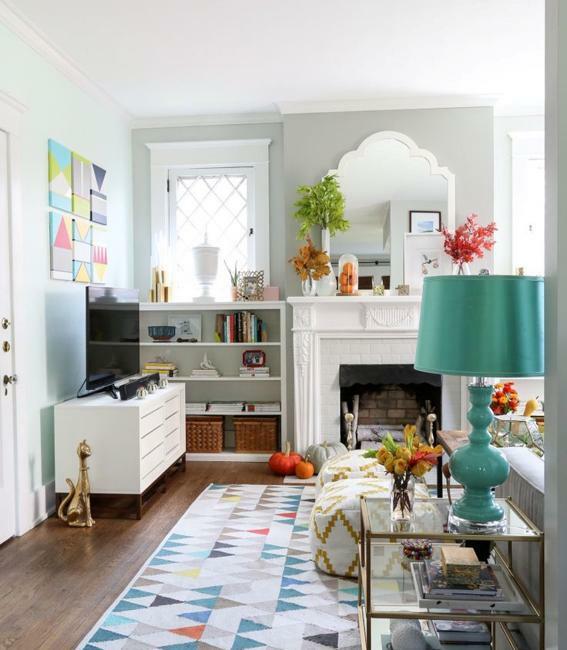 8.Couple items for decorating wall and floor, furniture and floor, wall and furniture by using similar or different geometric accents. 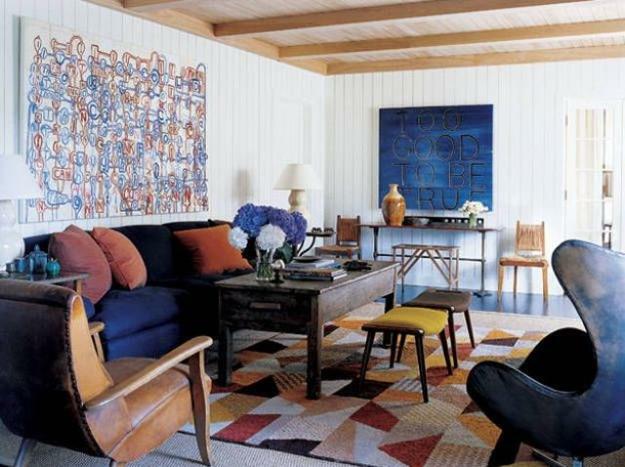 9.Creating new decoration patterns with familiar geometric shapes.